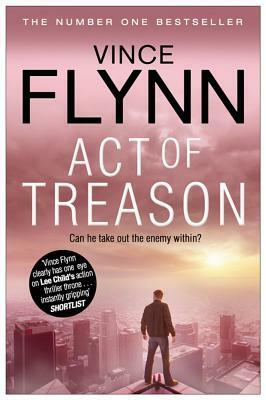 Another great book by Vince Flynn. Hard to put down once you get into it. Sometimes the stories seem real but even if fiction, they are entertaining. Action filled, you can't put it down. This is one of tose books that you want to read all the way through in one sitting. Mr Flynn's writing has been a favorite of mine since his first book. I love the fact that he uses the same character in all his books. I feel as if I know the character personally. He is a master at intrigue and I will purchase any book to which his name is attached. Vince Flynn has done it again. Another well written thriller that will make the book hard to put down. Who knew politics could be so exciting? A great story with ruthless criminals, devious politicians, dedicated AND corrupt secret service agents, and a super CIA operative who almost single-handedly uncovers a conspiracy. It seems Mitch's wife had a name after all, Anna, but she was apparently killed off betwen books and he's finished his mourning before this story starts.